Few understand the power of Transiting Lunar Nodes - yet all of us experience the impact of these transits in our lives. Planets transiting through the Zodiac form aspects to our personal charts, and happenings occur. How or why you feel a certain way about a situation is indicated by the transits of the Lunar Nodes. 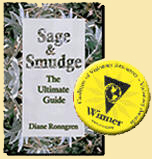 Author Diane Ronngren introduces you to this unique study, and helps you explore the energy of the transiting Lunar Nodes in your life. Excerpt from "Transiting Lunar Nodes"